Who has never suffered from gastritis? In France, gastritis affects 30% of French adults and 50% of French people over 50 !The individuals affected use standard remedies, hence subjected to many relapses. Gastritis is a chronic inflammation of the gastric mucosa – the membrane lining the stomach. It might be an isolated incident – caused by a bacterium or a virus – but it is mostly chronicle. It creates intense heartburn and digestive disorders. or from external and chemical aggressions (e.g. consumption of alcohol, tobacco or some medicines). The trigger is not so easily identified, though it appears that stress might often be involved – especially chronic, as a direct or indirect cause. Cures exist either to help reducing or neutralizing the heartburn, or to support the healing of ulcers. Indeed, antibiotics are commonly used when a Helicobacter pylori infection is diagnosed. Overall, it is recommended to refrain from smoking, drinking alcohol or taking medications which are likely to cause heartburn (as a side effect). Warnings are also valid regarding strict diets. Fenugreek, (Trigonella foenum graecum) is one of the oldest medicinal plants on Earth. This Mediterranean leguminous plant is highly rich in oligo elements and amino acids. Indeed, it contains phosphorus, iron, Sulphur, nicotinic acid, alkaloids, flavonoids, carbohydrates, vitamins A, B1, and C, magnesium, calcium, lecithin, proteins (30%) and steroidal saponins. Overall, those elements contribute to the synthesis of cholesterol and fibers. Its significant role in the reduction in lipid peroxidation – caused by ethanol – and red cell deterioration by sustaining the activity of antioxidant enzymes (catalase and SOD). Lipid peroxidation plays a major role in the inflammation of the gastric mucosa and the formation of lesions. The mentioned study also highlighted that Fenugreek seeds are more effective than omeprazole as a preventive treatment. The above elements lead to the conclusion that Fenugreek holds a real anti-ulcer potential. Besides, Fenugreek acts as a tonic when fatigue kicks in, as a pancreatic stimulant and as an anti-inflammatory. Fenugreek leaves are bitter, hence fortifying the liver and stimulating the production of bile. The latter is more easily expulsed from the gallbladder, thus stimulating the biliary excretion of cholesterol while simultaneously reducing both levels of triglycerides and LDL cholesterol in the blood. Finally, further studies have found out that Fenugreek could also have a preventive effect on the onset of colon, breast and gallbladder cancers. Researchers discovered that Fenugreek seeds also contain an unconventional amino acid with highly interesting insulin-stimulant properties (3) – the 4-hydroxyisoleucine. This molecule does not exist either in human or animal cells, and stimulates the secretion of insulin by targeting pancreatic cells. The main interest of hydroxy isoleucine is that it truly differs from sulfonylureas, which are currently used in the treatment of diabetes: indeed, the latter causes hypoglycemic side effects (4), as opposed to 4-hydroxyisoleucine. Nonetheless, it is necessary to specify that only 100% natural Fenugreek extracts provide the efficient quantity of 20% hydroxyisoleucine. Melissa (lemon balm) has been famous since the time of ancient Greece for its soothing and digestive properties. It especially helps regulating nerve impulses, hence reducing stomach and colon spasms. – carophyllene contained in sesquiterpenes, which hold has anti-inflammatory, anti-colic and antispasmodic properties. Those researches have enabled the WHO and other health agencies (EMA, ESCOP) to validate the positive effects of lemon balm. They have especially brought to light its impact on digestive disorders, such as pain, gastrointestinal spasms and bloating. Furthermore, it helps easing digestion, and boosts the prevention of nausea and vomiting by nurturing bile secretion. Its soothing action also fights against nervous tension and irritability, and facilitates the onset of sleep. Dandelion is a plant rich in potassium, iron, calcium, copper, silica and manganese. It also contains fatty acids, choline (a nutrient essential to the liver), B-complex vitamins, vitamins C, D and K, as well as flavonoids and carotenoids. Additionally, its root alone produces insulin and complex sugars, as well as substances that foster the proliferation of beneficial intestinal bacteria (7). Therefore, Dandelion has always been primarily used to treat liver and gallbladder disorders. It has also been known for its overall “detoxifying” effect, translated into a diuretic action without side effects. Besides, trials conducted in recent years have demonstrated that Dandelion encourages urinary elimination and bile secretion, as well as an anti-inflammatory response. Another study from 2006 confirmed both its properties as an antioxidant and its virtues against cancer and diabetes. Finally, preliminary clinical trials indicate that some preparations containing Dandelion can relieve intestinal cramps, constipation and diarrhea (8). Sage has been known for ages as an excellent source of vitamin K and iron. It is mainly recommended for its relaxing and antispasmodic action on both the stomach and the intestinal muscles. It is also known for its ability to increase the secretion of bile (9). Thus, Sage helps easing stomach cramps and protects the gastrointestinal track (heartburn). It is particularly effective against bloating and intestinal gas. Studies on rodents have shown that Sage significantly stimulates an antioxidant enzyme produced by the liver (10). Besides, it contains two phenolic compounds with proven antioxidant properties – Rosmarinus acid and luteolin. 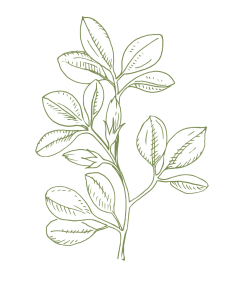 Sage is highly recommended for the treatment of digestive disorders, including labored digestion, vomiting, bloating and intestinal fermentation. Finally, additional studies have also stressed its ability to improve cognition, reduce agitation for elderly subjects suffering from Alzheimer, and reduce sugar levels in case of mild diabetes. Four plants combined towards an effective and sustainable effect ! The combination of Fenugreek, Lemon balm, Dandelion and Sage soothes inflammation induced by gastritis, reduces stomach and intestinal spasms, and stimulates the liver. It also helps reaching an internal equilibrium that prevents relapses, especially in case of chronic gastritis. However, preparing this combination yourself is ill-advised: indeed, while numerous product complexes using dry extracts of these four plants are available on the market, very few are designed with a synergistic action. The synergy formed by the active elements is additional information for the body, since it indicates a time and location for the substances to act – leading to emerging properties without interacting whatsoever ! Furthermore, it is crucial to pay attention to the biological qualities, the origin and proportions of the extracts. 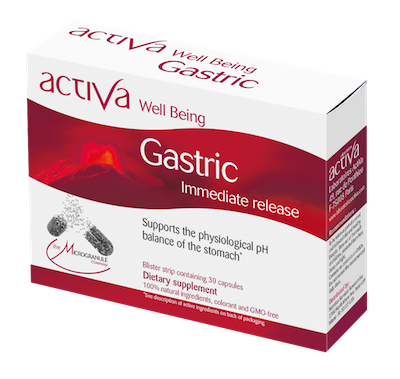 It stimulates digestion and ensures lasting digestive well-being. It is completely bioavailable and biocompatible. Resulting from the latest pharmaceutical innovations, the microgranules and their specific release properties ensure a sustained and targeted action of the active ingredients for a maximized efficiency. 1 Pandian RS1, Anuradha CV, Viswanathan P. Gastroprotective effect of fenugreek seeds (Trigonella foenum graecum) on experimental gastric ulcer in rats. J Ethnopharmacol. 2002 Aug;81(3):393-7. 2 H.M. Helmy. Study the Effect of Fenugreek Seeds on Gastric Ulcer in Experimental Rats. World Journal of Dairy & Food Sciences 6 (2): 152-158, 2011. 3 Y. Sauvaire, P. Petit, C. Broca, M. Manteghetti, Y. Baissac, J. Fernandez-Alavarez, R. Gross, M. Roye, A. Leconte, R. Gomis, G. Ribes ; 4-hydroxyisoleucine, Diabètes, 1998, 47, 206-210. 4 Jetté L, Harvey L, Eugeni K, Levens N., 4-Hydroxyisoleucine: a plant-derived treatment for metabolic syndrome, 2009 Apr;10(4):353-8. 5 Giselle Guginskia, Ana Paula Luizb, Morgana Duarte Silvab, Murilo Massarob, Daniel Fernandes Martinsb, Juliana Chavesa, Robson Willain Mattosc, Damaris Silveirac, Vânia M.M. Ferreirac, João Batista Calixtoa, Adair R.S. Santosa, Mechanisms involved in the antinociception caused by ethanolic extract obtained from the leaves of Melissa officinalis (lemon balm) in mice. 6 Mohamed T. Khayyal, Mona A. El-Ghazaly, Sanaa A. Kenawy, Mona Seif-El-Nasr, Laila G. Mahran, Yehia A. H. Kafafi, Samuel N. Okpanyic, Antiulcerogenic Effect of Some Gastrointestinally Acting Plant Extracts and their Combination, Arzneimittelforschung 2001; 51(7): 545-553. 7 Clare BA, Conroy RS, Spelman K. J Altern, The diuretic effect in human subjects of an extract of Taraxacum officinale folium over a single day. Complement Med. 2009 Aug;15(8):929-34. 9 Clare BA, Conroy RS, Spelman K. The diuretic effect in human subjects of an extract of Taraxacum officinale folium over a single day. J Altern Complement Med. 2009 Aug ;15(8) : 929-34. 10 Lima CF, Andrade PB, Seabra RM et al. The drinking of a Salvia officinalis infusion improves liver antioxidant status in mice and rats. J Ethnopharmacol. 2005;97:383-389.